An unintended result of that bold stand, has been a meteoric rise of jersey sales. As of 10 o’clock EST on Sunday, Villanueva’s jersey was the highest-selling jersey among all Pittsburgh Steelers on Fanatics.com. 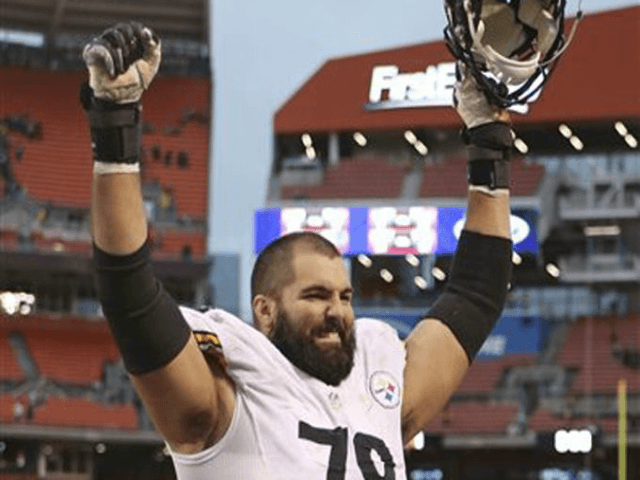 According to 247 Sports, Villanueva’s jersey sales rocketed into the top sellers in the entire league as of 7:45 PM EST behind only Marshawn Lynch, Derek Carr, Carson Wentz, Brown, and Aaron Rodgers. Villanueva served three tours in Afghanistan, and won the Bronze Star Medal for Valor. Despite Villanueva’s bravery and clearly understandable loyalty and love for the flag, Steelers coach Mike Tomlin still rapped him for standing for the anthem.